My short story “Walking Past” appears in Issue 3 of The Nottingham Review This story had fifteen rejections before being accepted at this British digital literary journal. 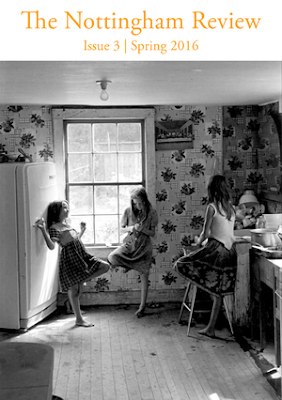 I love the cover photograph “Three girls in kitchen” by William Gedney. “There is a curious woman in my neighbourhood. She appeared two months ago and strolls around the building that sits on the corner of my block. Every morning I see her walking past on my way to the streetcar stop and again after work. Around and around she goes. I’ve never seen her in any of the stores the building houses—the grocery, the post office, the pharmacy, or the coffee shop. Sometimes she stands, staring into space when I pass. She doesn’t seem to notice me, or that I notice her—two invisibles. 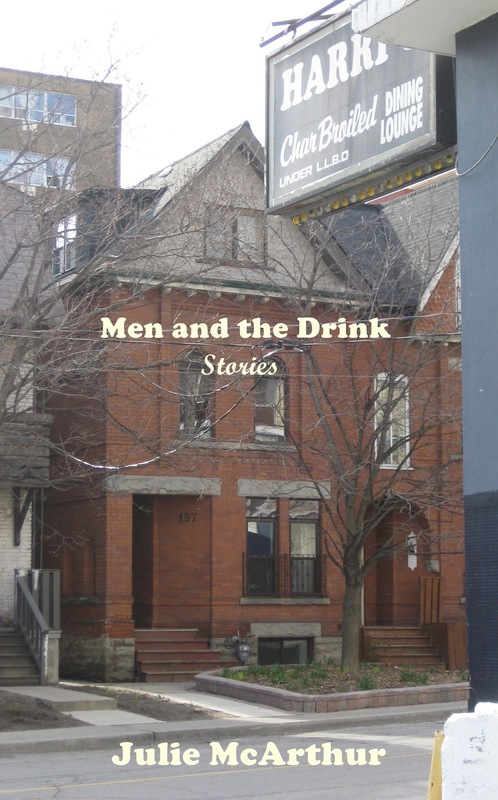 “Walking Past” is included in my first short story collection, Men and the Drink, which is under consideration at several publishers. This entry was posted in Men and the Drink, publication news, The Nottingham Review, Uncategorized on March 7, 2016 by Julie McArthur. 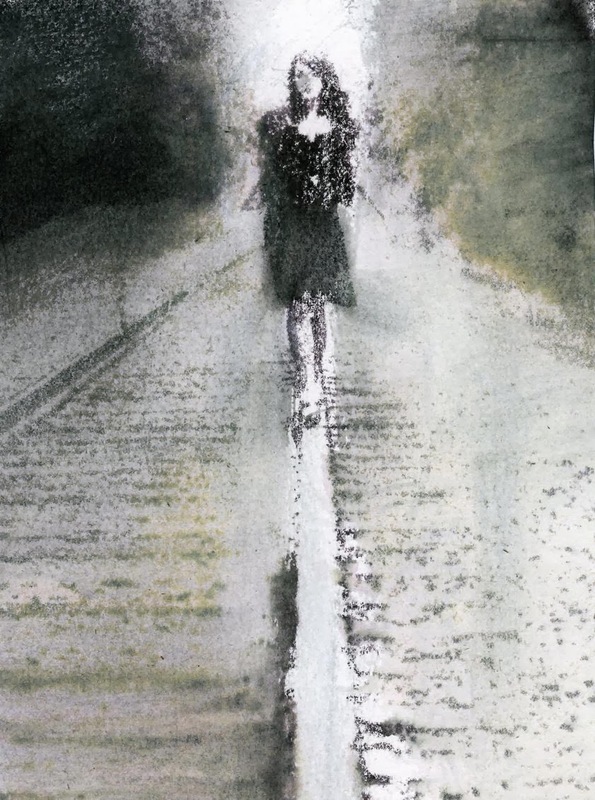 My short story “Disconnect” is up at Necessary Fiction. After seventeen rejections, this story finally found a home at this webjournal published in Boston. This entry was posted in Men and the Drink, Necessary Fiction, publication news, Uncategorized on October 11, 2015 by Julie McArthur. My short story “Separated” is featured in the latest issue of The Antigonish Review, published at St. Francis Xavier University in Antigonish, Nova Scotia. “Separated” is the third story in a trilogy that appears in my first collection, Men and the Drink. Part one, “20 Grit”, was published in Front & Centre #22. “Crappy Little Job” is the second story. “With no cuts or scrapes to solve the mystery of my injury, I surf the web for information. Dislocations, rotator cuff tears, tendinitis, bursitis . . . I stop at separated shoulder – the junction of the clavicle (collarbone), scapula (shoulder blade), and humerus (arm bone) is disrupted. It is usually the result of a sudden traumatic event. Pain is severe at the time of injury. Alcohol’s oblivion spared me this. A small bump appears over the injury. I stand square in front of the mirror and see the protrusion. Separations are graded one through six, six being the worst. 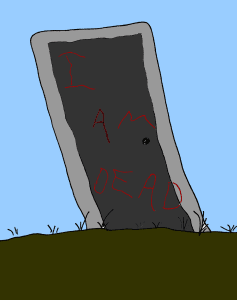 Throbbing intensifies, and I wake nightly when inadvertently rolling onto my right side. By Sunday I concede the need for medical attention—a trek to the local emergency room in the morning. Note: this story had thirteen rejections from literary magazines and journals before finding a home on the east coast… a reminder of the importance of patience, perseverance, and the belief in one’s own work. The Antigonish Review can be found in the magazine section of Indigo and some independent bookstores. This entry was posted in Men and the Drink, publication news, The Antigonish Review, Uncategorized on September 11, 2015 by Julie McArthur. My short story “Between the Pines” appears in the current issue of Paragon, published at Memorial University in St. John’s, Newfoundland. This story takes place in Ottawa and was inspired in part by neighbourhoods Glen Cairn and the Byward Market, as well as my experience working in childcare. 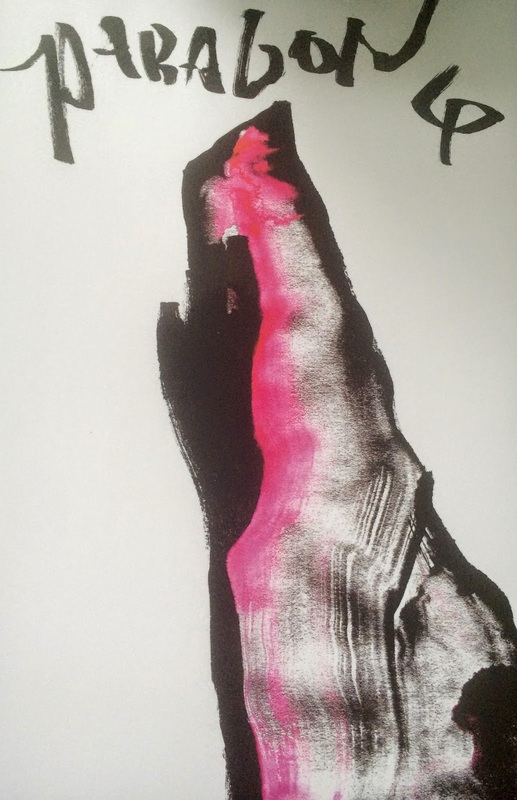 “Between the Pines” is included in my first collection, Men and the Drink. “Pinky is relieved, along with her students, when the bell rings at lunch. She walks five blocks to her retreat, a long narrow park that edges the Ottawa River. It’s quiet contrast to classroom chaos is soothing. 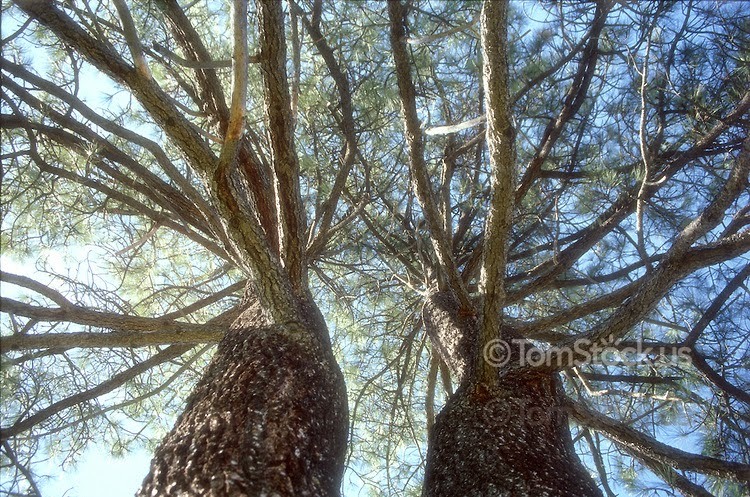 She strolls along the stretch of green until she comes upon the two large Austrian pines. She sits between them on a blanket of brown needles. Thank you to the editors at Paragon Press for accepting my story. A reminder of the importance of perseverance… “Between the Pines” was rejected thirteen times before finding a home on the East Coast. This entry was posted in Paragon, publication news, Uncategorized on January 17, 2015 by Julie McArthur. My short story “Derry Daring Rides” can be read in The Loose Canon, an online journal from Montreal. Zsolt Alapi, co-editor of Siren Song Publishing, knew my writing through Black Bile Press in Ottawa and asked if I could send a couple stories his way. I thought “Derry” would be a good fit for The Loose Canon, and so did he! My glorious minions. Fred says. I know you’ve been waiting to hear me unveil my sentimental favourite. I loved Steve Austin too, Dougie, and Lee Majors did a bang-up job on TV, but for me, nothing beat the Evel Knievel Stunt Cycle Stadium. I sit and turn up the volume. …It’s Angie on the line, Fred says. Okay Angie, let it ride. 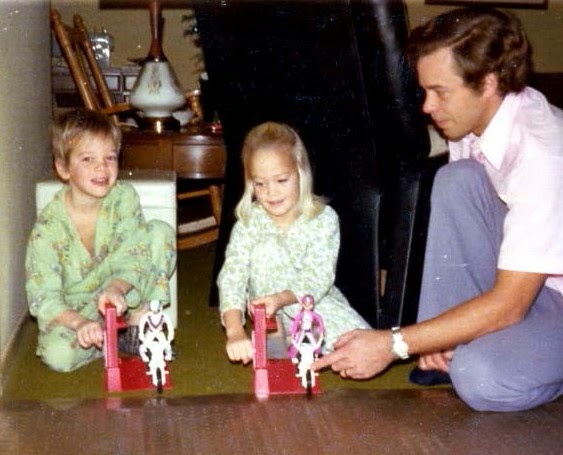 What was your ultimate toy? I like the cut of your jib, young lady. Tell us more. “Derry Daring Rides” went through many incarnations and is part of my first collection, Men and the Drink. This story was inspired by Evel Kneivel, the 1970s toy Derry Daring and my favourite Toronto dive bar from days gone by, The Duke of Connaught. This entry was posted in publication news, The Loose Canon, Uncategorized on August 5, 2014 by Julie McArthur. My short story “First Dive” is in the latest issue of The Dalhousie Review, published at Dalhousie University in Halifax, Nova Scotia. This is one of my earliest works and is included in my collection Men and the Drink. It is the first part of a trilogy that revolves around a young female narrator over a period of three years. 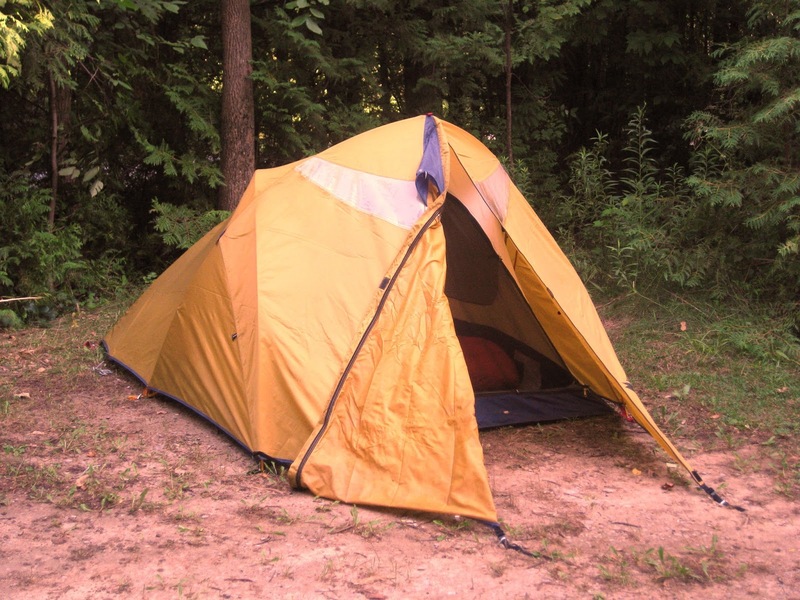 The second story, “Permanent,” was published in The Nashwaak Review, and the third, “Black Satin Pants,” is still looking for a home. I was close to retiring “First Dive” as it had been rejected eleven times, and I wondered if it was strong enough to stand alone without the rest of the trilogy. 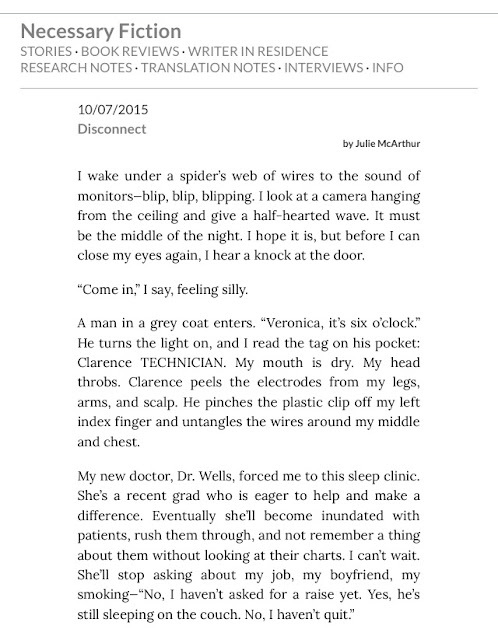 Much thanks to the fine folks at The Dalhousie Review for accepting my story. This entry was posted in publication news, The Dalhousie Review, Uncategorized on April 29, 2014 by Julie McArthur. 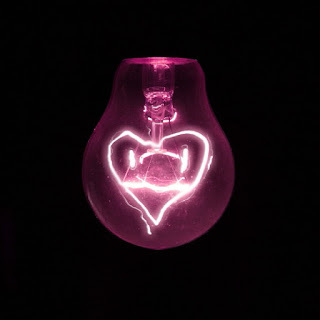 Read my story “Thank You for Disappearing in PANK Magazine. One page from this story was written over two years ago… and then another page a year later. It wasn’t until last summer that I wrote a complete first draft. This is becoming a reoccurring process: fermentation in the brain for long periods of time before pen goes to paper, fingers to keys. Workshopping the story with a first reader and my writing group during the revision process was invaluable. After submitting the story, an acceptance letter from the prolific Roxane Gay, co-editor of PANK, was fantastic news! This entry was posted in PANK, publication news, Uncategorized on March 3, 2014 by Julie McArthur. My story “Little Hawk” is up at Little Fiction. This story went through many revisions, workshops, and rejections before finding a home. I haven’t come up with a cool-enough one-sentence synopsis to hypnotize yet, so I’ll just encourage you to check it out when you have a few free minutes. This story is in my first collection, Men and the Drink. Inspiration included kitchen work in restaurants, sibling relationships, the rural-urban divide, and Moss Park in Toronto. Much thanks to Troy Palmer, editor and creative director of Little Fiction, for his excellent fine-tuning and beautiful cover design. To learn more about Little Fiction, read this recent interview with Troy at The City Fox. All short fiction at LF can be found HERE. 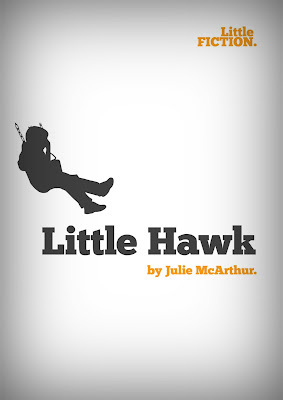 This entry was posted in Little Fiction, publication news, Uncategorized on August 7, 2013 by Julie McArthur.